루트임팩트 허재형 대표에겐 인생의 나침반 같은 순간이 있다. 20여 년 전, 수능 점수를 받고 대학 원서를 쓸 무렵, 허 대표는 신학교 진학에 대한 고민을 하고 있었다. "성직자라는 꿈이 있었죠. 엄연히 말하면 많은 꿈 중 하나였어요. 이에 대한 확신은 전혀 없었지만." 많은 방황을 한 끝에 결국 일반 대학교로 진학하게 되었다. 이 결정을 당시 그를 아끼던 수녀님께 알리기 위해 성당으로 갔다. "그날의 장면이 제 인생에선 굉장히 중요한 순간이에요. 아직도 기억이 나요. 어떤 날씨, 어떤 온도였는지. 그곳의 배경을 그림으로 그리라면 20년 전인데도 그릴 수 있어요." 그날의 날씨는 한겨울답게 무척 추웠지만 공기는 맑았다. 전날 눈이 왔었나 보다. 눈이 쌓인 성당 앞마당에 서서 수녀님과 얘기를 나눴다. 그날 수녀님은 그에게 "성직자의 길을 걷지 않더라도 성경에서 이야기하는 삶을 살 수 있다. 어려운 이웃을 보살피고 사회의 어두운 부분들을 밝히는 일들을 다른 직업으로도 할 수 있다. "라고 말씀해주셨다. 이 말씀은 그가 커리어를 고민하는 순간마다 중요한 지침이 되었다. 그가 현대가 3세 정경선 씨와 2012년에 공동 창립한 루트임팩트는 수녀님이 말씀하신 철학을 실현하고자 하는, ‘남을 돕는 사람을 돕는’ 회사다. 다양한 사회적 문제의식을 갖고 있는 업계에서 이해 관계자들을 이어주는 다리 역할을 하는 중간 지원 조직이다. 아직은 여러 갈래로 쪼개져 있는 '소셜섹터' 생태계 내 여러 분야의 사회적 기업, 소셜벤처, 비영리 단체, 스타트업 등을 필요한 사람들과 연결해준다. 2017년 시작한 임팩트커리어도 이런 협력의 맥락에서 탄생한 루트임팩트의 실험 중 하나다. 임팩트커리어는 구직자와 소셜섹터의 고용주를 이어주는 취업 프로그램이다. 취업 고민을 하는 청년들이 많은데도 구인난에 계속 시달리는 작은 회사들을 위한 다리 역할을 한다. 허재형 대표는 "문제들 중 하나는, 청년들이 주류 커리어라고 일컫는 것들 이외의 커리어를 모르고 있거나, 안다고 하더라도 현실적으로 여러 가지 제약이 있어서 꺼리게 된다는 거죠.”라고 말한다. 임팩트커리어는 거대 채용 포털과는 차별화된 접근 방식을 갖고 다양한 방면으로 사회적 문제의식을 가진 회사들에 대한 정보를 제공하고자 한다. 임팩트커리어가 소개하는 회사들은 취약계층의 일자리 창출 방안에 대한 해결책을 제시하기도 하고, 농부와 도시인이 더 가까워질 수 있는 크라우드펀딩을 만들기도 한다. 루트임팩트는 남을 돕고 사회를 긍정적으로 변화시키고자 하는 이런 회사들과 사람들을 ‘체인지메이커’(‘변화를 만드는 사람들’)라고 부른다. 임팩트커리어는 거대한 일자리 수를 창출하는 실험도 아니고, 거대한 채용 경로를 제공하는 플랫폼도 아니다. 하지만 허재형 대표에게 임팩트커리어는 대한민국 사회에 취업의 다양성에 대한 메시지를 보내주는 중요한 사례다. 임팩트커리어와 비슷한 첫 시도는 2013년과 2014년에도 했지만 2016년 구글 임팩트 챌린지 지원팀이 확정되며 본격적으로 활력을 얻었다. 구글 공고를 본 후 거의 모든 회사 직원이 합류해 지원하고 프로젝트를 구체화했다. "엄청 떨면서" 발표했다는 허 대표는 2.5억 원이라는 지원금이 확정된 순간 너무 행복해 눈물이 났다. 구글 지원금 덕분에 특화된 임팩트커리어 채용 플랫폼도 개발했다. 기수에 맞춰 지원자들이 플랫폼에 게시된 구직 공고를 보고 지원한 후 채용이 확정되면 입사하기 전에 헤이그라운드에서의 직업 교육 '부트캠프'에 2주간 참여한다. 회사에 파견된 후에는 한 달에 한 번 임팩트커리어 동기들과 정기 모임을 갖고 지속적으로 교류한다. 일반적으로 3개월의 인턴쉽 이후에 채용이 확정된다. 2017년 대학을 졸업한 황선영 씨도 다른 취업 준비생들과 비슷하게 진로에 대한 고민이 많았다. 국제개발 협력을 전공했던 그는 ‘NGO를 해야 하나, 이제 20대 후반인데 시기적으로 무엇이 적합할까’ 고민하던 중 2018년 초 임팩트커리어에 3기로 참여하게 되었다. 2주간 부트캠프를 하며 이메일은 어떻게 보내고 명함은 어떻게 주고 받는지와 같은 사소한 것까지 배웠다. 황 씨는 학생독립만세라는 교육 기회의 불평등을 해소하려는 소셜벤처에 채용이 확정됐다. 황 씨에게 가장 가치 있는 성과는 동기들이 생긴 것이었다. "동기들은 기대 이상이었어요. 지속적으로 연락하고 커리어를 어떻게 쌓아가는지 고민을 하는 사람들이 있다는 자체가 무척 좋은 일이었죠." 그는 지금도 동기들과 연락하며 소셜섹터 업계에 대한 소식을 공유한다. "저희가 아무래도 특이한 커리어를 쌓고 있다 보니 가끔씩 연락해서 '너희 직장은 어떠니? '라고 감정적 공유를 할 수 있다는 점이 가장 좋아요." 허 대표는 "작은 회사는 입사 동기라는 게 생기기 어려워요. 동기이기 때문에 털어 놓을 수 있는 게 있고, 정보 교류나 회사 적응 과정도 더 수월하게 도울 수 있는 게 동기입니다. "라고 말한다. 임팩트커리어는 동기 커뮤니티를 만들기 위해 직업 교육 이외에도 친목을 다질 수 있는 이벤트를 참가자들에게 모두 무료로 제공한다. 임팩트커리어는 참가자들에게서 높은 만족도를 보이고 있다. 널리 쓰이는 NPS 점수라는 ‘순추천지수’ 지표를 사용해 만족도를 측정한다. 허 대표는 “업계 최고 클라스인 회사들도 50점 내외가 나오는데, 저희는 만족도가 매우 높고 계속 개선되고 있어요. 측정을 시작한 [Y 프로그램] 2기 때 50점이 나왔고, 가장 최근에 운영된 4기는 83.3점이 나왔습니다.”라고 말한다. 또한 각 회사는 새로운 인력이 입사하면 직원 교육과 업무 배분을 효과적으로 할 필요가 있지만, 작은 회사들은 인력이 부족해 인턴 교육은커녕 기존의 직원들이 일하기도 바쁜 상황이 많다. 이를 감안해 임팩트커리어는 2019년부터 회사들을 대상으로 인사관리(HR) 교육을 실시하는 것도 구상하고 있다. 앞으로의 계획은 임팩트커리어를 질적·양적으로 확산하는 것이다. 2016년 8월 말의 구글 챌린지는 회사 전체적으로도 중요한 ‘마일스톤’(이정표)이었다. 지난 2년간의 성과를 되새기며 허재형 대표는 이렇게 말한다. “저는 극적인 사례가 아니라 보편적인 사례를 계속 만들고 싶습니다.” 그는 루트임팩트가 고집하는, 아직까지 ‘특이하다’고 여겨지는 커리어에 대한 방법론이 또 하나의 보편적인 것으로 인정받는 날을 꿈꾸고 있다. There’s a moment in Jaehyong Johan Heo’s past that serves as his compass. Twenty or so years ago, Heo had just received his college entrance exam scores. He was applying to different schools but also seriously considering enrolling at a seminary. “I dreamed of becoming a priest. Well, if I have to be precise, it was one of my many dreams. I wasn’t entirely certain at the time.” After much confusion, he eventually decided to go to a regular university. He walked over to his church to share this decision with a nun, who was a dear presence in his life. It was in the middle of winter; the temperature was low but the air was clear. It must have snowed the previous day. Heo stood in the front yard of the church and talked about his future with the nun. The nun told him that he doesn’t have to tread the path of priesthood in order to live a good life according to the ways of the Bible. One can care for those in need and brighten the dark corners of society through other endeavors. In the years to come, her words became a valuable signpost at various points of confusion in Heo’s career. In 2012, Heo together with Kyung-sun Chung, a third generation member of the Hyundai family, founded Root Impact, which in many ways practices the nun’s words about life -- i.e. the company wants to help those that help others. 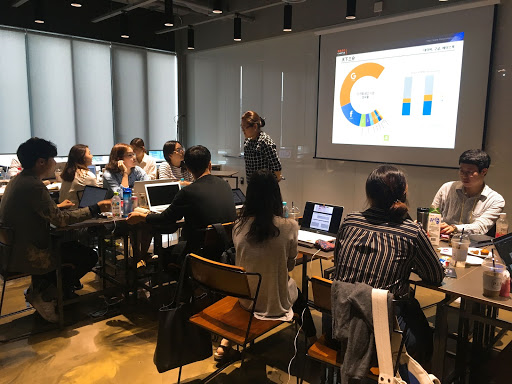 More specifically, Root Impact acts as a bridge between various individuals and groups within the still-fragmented South Korean social sector, including startups, social ventures, nonprofits and jobseekers. Impact Career is a program borne out of Root Impact’s community-building endeavors. The career program, launched in 2017, connects young jobseekers with employers in the social sector. 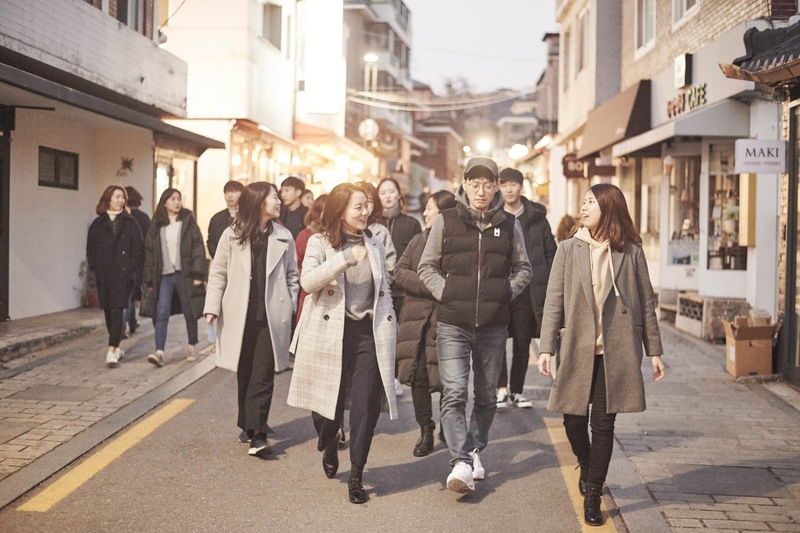 Youth unemployment rate in South Korea is rising and many young Koreans are understandably concerned about their career paths; despite this reality, many small companies are still struggling to find workers. “One of the problems is, jobseekers are not aware of the diverse career options that exist,” says Heo. Through its website and training programs, Impact Career aims to provide the public with more information about the diversity of possibilities in starting a career. Unlike major job portals, Impact Career specializes in companies in the social sector, or those that seem more conscious about different social problems. This includes companies that offer solutions for job creation in low-income classes or create a crowdfunding platform to bring farmers and urban populations closer together. “Changemakers,” is what Root Impact calls organizations and people who seek to create positive change in society. Root Impact had attempted similar career training programs in 2013 and 2014, but it was after being selected in Google Impact Challenge (GIC) in 2016 that the career program really took off. Almost everyone in Root Impact participated in the GIC application process at the time, refining the vision of the Impact Career program. “I was trembling,” Heo remembers of his presentation in front of judges. He wept with joy when Google awarded them 250 million Korean won (over $200,000). In the past two years, the newly developed Impact Career Program Y, targeting entry-level jobseekers, has operated on Google funding. The Google brand was also helpful in attracting other supporters. In 2019 W, another Impact Career program, will be funded for a year by Chanel foundation. “The fact that we won a Google challenge seems to have worked as a positive assurance in the eyes of other benefactors,” Heo says. Thanks to GIC funding, Root Impact also developed a customized website for Impact Career participants. Positions are posted on the website at each Impact Career ‘season,’ through which jobseekers can apply and match with a company. Once the matching process is complete, jobseekers undergo a two-week-long ‘boot camp’ at HEYGROUND for job training, after which they usually intern at their company for the next three months. Throughout the internship, they stay in touch with the Impact Career peers and meet up once a month. 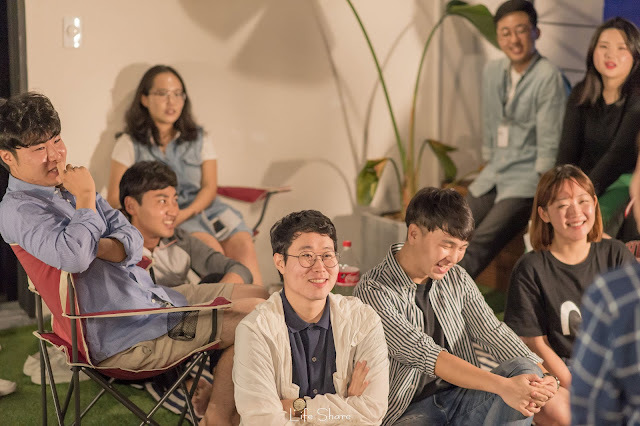 Seon-young Hwang, who graduated university in 2017, was one of the participants. She had majored in international development and was confused about what kind of career path to take. She came across Impact Career Y and participated in the third season in 2018. During the two-week job training, she was taught a wide range of topics, down to the petty details of sending emails and politely exchanging business cards. After interning at Hakdokman, a social venture that aims to alleviate inequalities in educational opportunities, Hwang was hired as a regular employee. “In small companies, it’s hard to have your own community of peers who enter the organization at the same time,” says Heo, comparing the culture to other, bigger businesses who often hire multiple workers through a process of seasonally open recruitment. “There are things you can share more comfortably with your peers, including information about the job and the challenges of adapting to a new organization.” To strengthen these communities, Impact Career includes networking events as part of its program. So far, Impact Career shows a high satisfaction rate from its participants. The program utilizes the Net Promoter Score (NPS), which is widely used to measure customers’ satisfaction and their desire to recommend the company to others. “Companies that are considered to be top notch usually receive around 50 points,” says Heo. From the companies’ end, there needs to be a more effective way of accepting new hires and training them on the job. Unfortunately, these companies are often hard pressed to find the time for existing employees to do their own work, let alone start training a new hire. In consideration of such restrictions, Impact Career is planning to incorporate human resources training for participating companies starting in 2019. Google Impact Challenge in 2016 was an important milestone for Root Impact as a company. In looking back at the past two years, Heo says, “I want to keep creating examples that aren’t dramatic, but ubiquitous.” He dreams of a day when the niche occupations Root Impact offers to the public are no longer perceived to be ‘strange,’ but just another way of being normal. 한국 사용자를 위한 구글플레이 포인트 프로그램을 만나보세요. 2019년 구글은 스마트 규제 및 정책 혁신을 지지합니다.